The procedure is performed under general anaesthesia and you will be completely unaware of the surgery until you wake up in the recovery room. At first, knee arthroscopy will be performed to inspect the inside portions of the knee joint. It involves small incisions or portals through which small instruments are passed and a video camera is used to visualise the anatomy of the knee joint, evaluate patella cartilage and assess patella tracking. 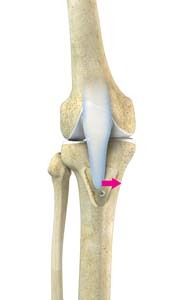 The osteotomy segment is then moved under direct vision into a position that assures proper tracking of the patella. The tracking pattern can be confirmed arthroscopically. The mobilised bone is then fixed into its new place using screws, which can be removed later if they cause irritation.